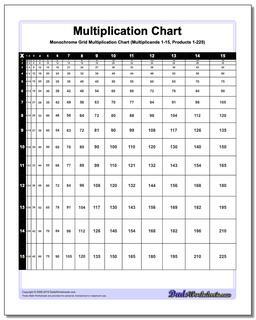 This printable multiplication chart presents the products where their sizes are relative to the answer. 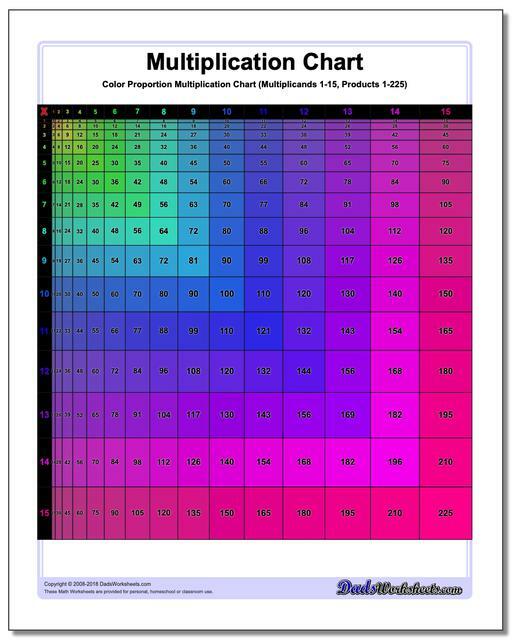 This is a great way to see the size and scale of each product relative to the others in the chart. 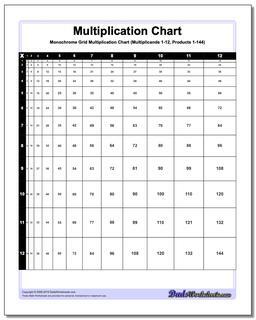 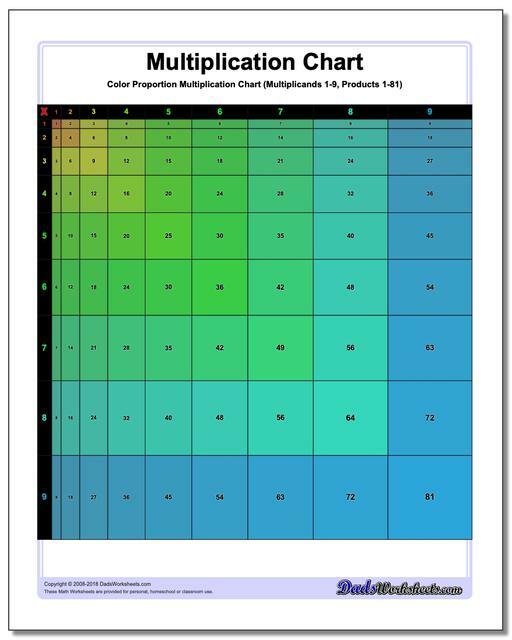 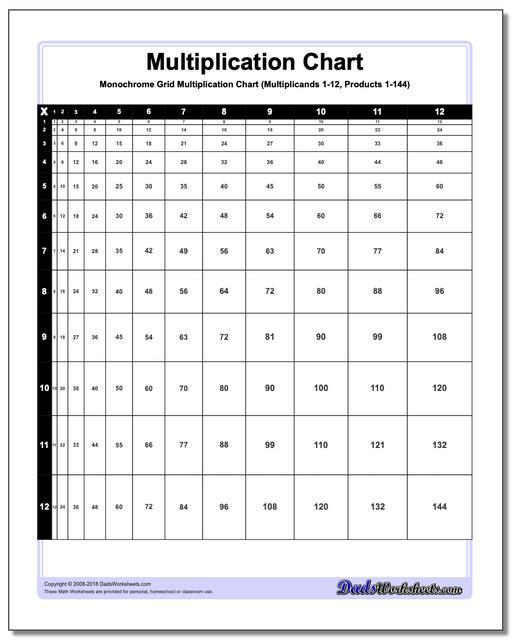 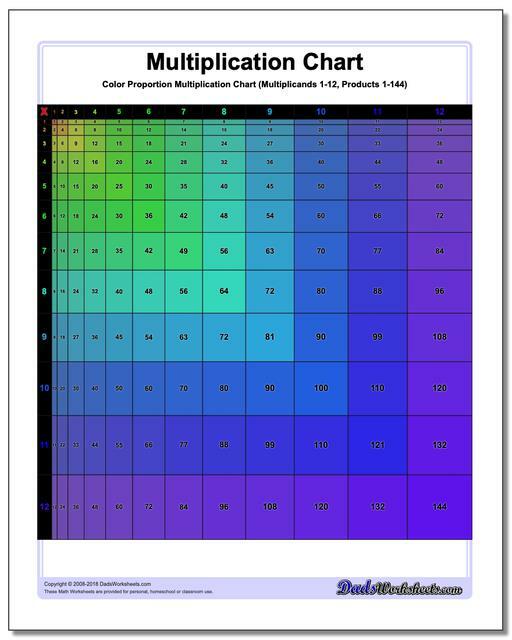 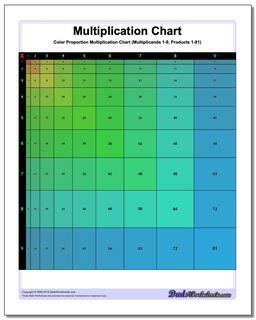 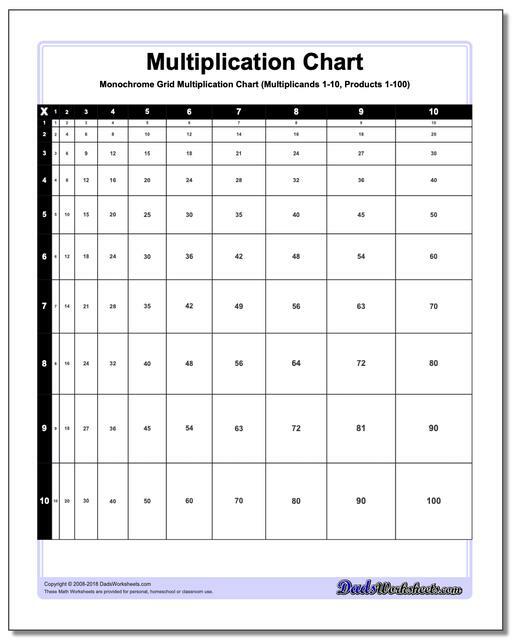 Each multiplication chart has black and white and colored versions. 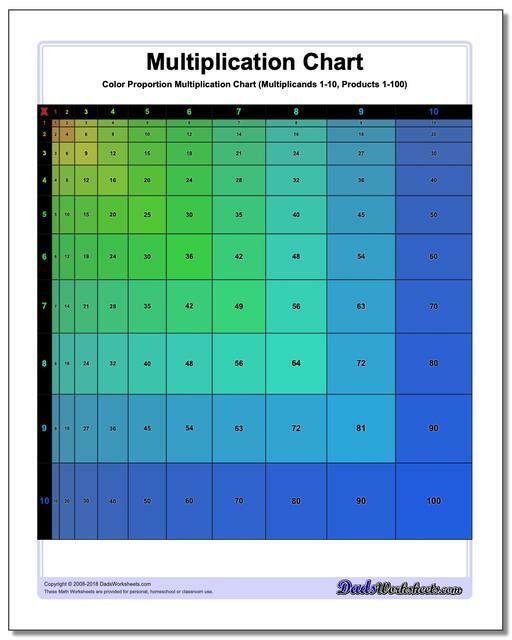 Here is another interesting way to visualize the times table. 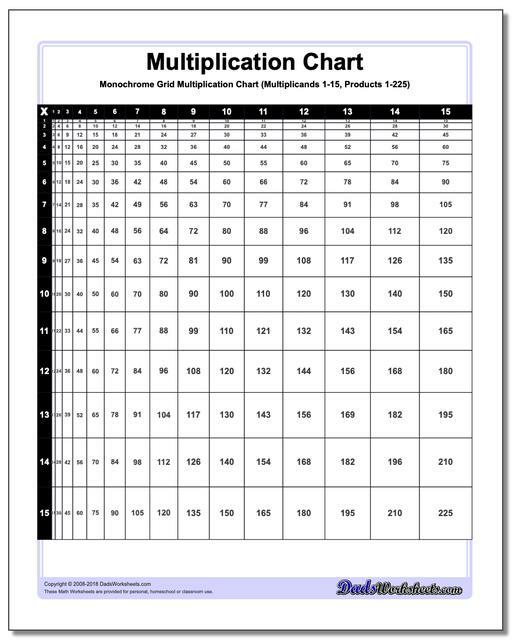 Every one of the cells in printable chart is sized proportionately to the product for that multiplication fact. The color versions of these charts are spectuactualy, especially the 1-12 and 1-15 versions of the chart.